There is no other platform in the US today that enables consumers to purchase coverage for all of their risk management needs, underwritten by multiple carriers, and manage their policies in a secure digital environment. which creates multiple significant inefficiencies for consumers. SmartCART disrupts this industry by consolidating the payment, fulfillment, and administration of multiple policies from multiple carriers within a single platform. 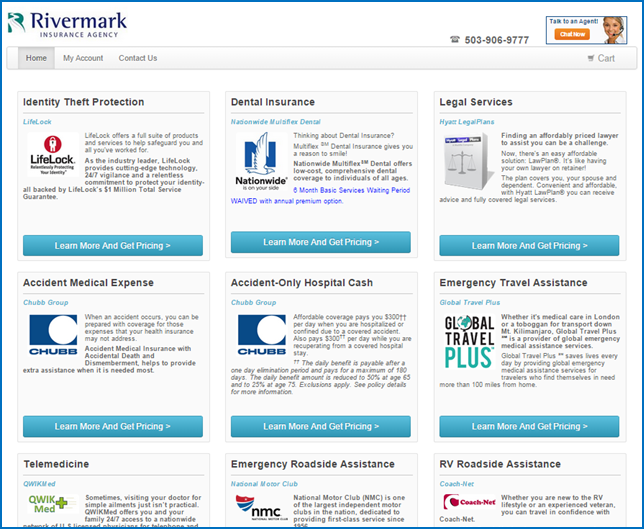 SmartCART enables users to shop for over 20 different coverage types from over 15 carriers – and add them to a shopping cart similar to an e-commerce site. Users create an account and the system dynamically gathers underwriting data needed for specific products. Policy payment & issuance are handled in real-time without the user ever leaving the SmartCART environment. Users store and manage their policies in their virtual insurance account. I couldn’t access the quotes online but did by phone and it was well worth the time and effort to call a “live” person instead of being online!! We ended up switching 4 policies to you and saved over $750 a year!